Based on our experience, it is not always possible to extract complete data from cashiers to fill in the sales tax declarations correctly. Sometimes, this may not be because of a technical reason, but either cashiers’ managers are not properly trained, or are just uncomfortable with fetching reports. On top of that, the terms of the query may vary depending on the type of the machine. 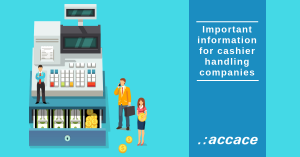 To address this complex obstacle, the Hungarian National Tax and Customs Office provided an opportunity for businesses to request verification by the use of the PTGADAT form, which provides feedback from the authorities on the data sent via online cash registers. The PTGADAT form allows you to retrieve monthly data per AP code. Thus, a maximum of 12 months of data can be obtained from the database of the National Tax Administration for each cashier. Of course, until 2018, only 10 months of data can be requested – the article was written in November 2018. The Form Guideline promises data provision within 30 days, but based on our experience, the Tax Authority sends data much sooner; which means only a few days in practice. The data is received in the format of a PDF file to the KÜNY repository (formerly known as Ügyfélkapu). The data comes daily, broken down to separate columns, containing return and reversal data indicated separately, while aggregate data can be found at the bottom of the table. As the lead time of the above – mentioned data provision is relatively short, we can use the data verified by the Tax Authority and fill verified tax return data in when declaring tax sales.